Math Word Problems 2 Pro by Tapfun Inc. 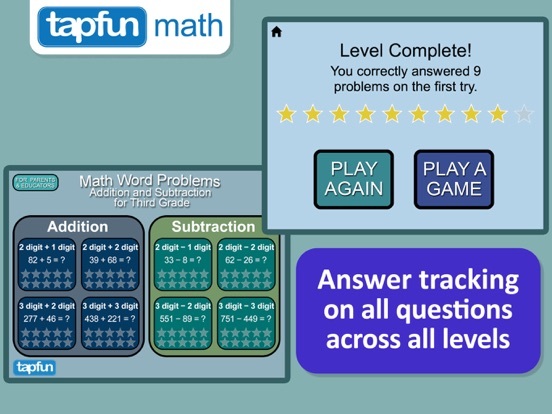 This app includes a wide variety of addition and subtraction word problems designed for students to read-along, draw and solve. 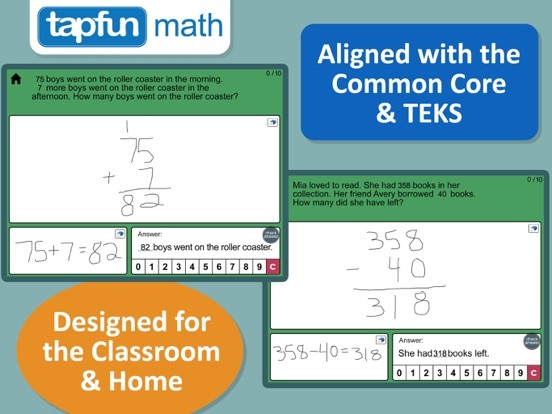 The format & problems were developed in consultation with the American Common Core and TEKS curriculums. 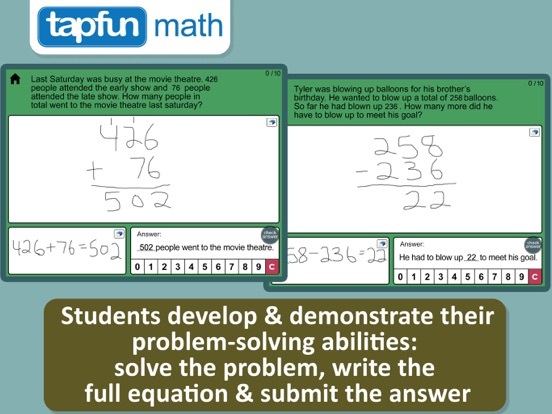 This app is designed to be used in a classroom or home setting where a teacher or family member is available to work through problems and discuss problem-solving strategies with the student(s). 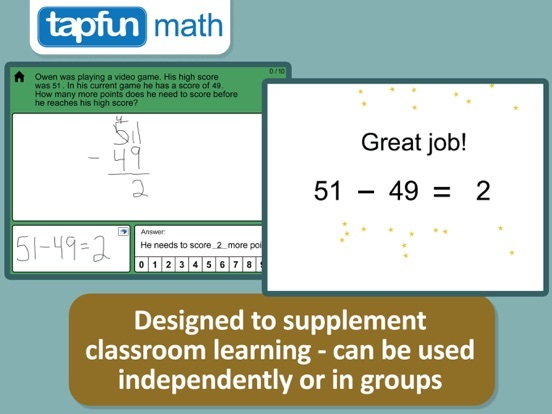 After successfully choosing the answer, the correct equation is briefly shown on the screen in large format to help cement learning. The app tracks the number of questions answered correctly on the first try and reports on this figure at the end of each level. • Solve two-step word problems using the four operations. Represent these problems using equations with a letter standing for the unknown quantity. 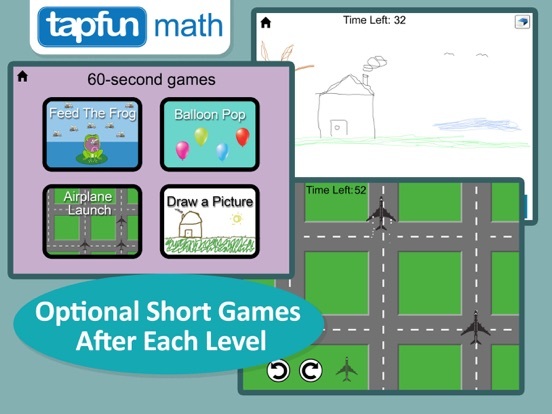 • Fluently add and subtract within 1000 using strategies and algorithms based on place value, properties of operations, and/or the relationship between addition and subtraction. • Select addition or subtraction and use the operation to solve problems involving whole numbers through 999. We have updated this app for iOS 11. Thank you for your support!